Just spreading the word about two new books by close friends. 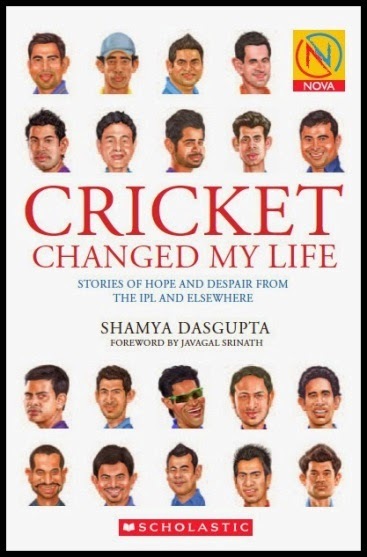 First, Shamya Dasgupta’s Cricket Changed My Life: Stories of Hope and Despair from the IPL and Elsewhere, a collection of reportage-driven profiles of a number of young Indian cricketers – from relatively famous players like Shikhar Dhawan (whose name is familiar even to me, though I haven't followed cricket at all for most of the last decade) to lesser-known names like Hokaito Zhimomi, the first man from Nagaland to have played first-class cricket (though not for his own state, which doesn’t have such a team). Being completely alienated from the current cricket scene – and still ailing from the ennui/cynicism that led me away from the sport in the first place – I haven’t read the book yet, but Shamya has had a long and very honourable career as a sports journalist, and I’m sure this is a fine read for anyone who cares about cricket. More about the book here, in Shamya’s own words, and some reviews in the media here. Also: very pleased that the Kindle edition of my friend Karthika Nair’s “Satyavati” is now available as part of HarperCollins' “21” series. 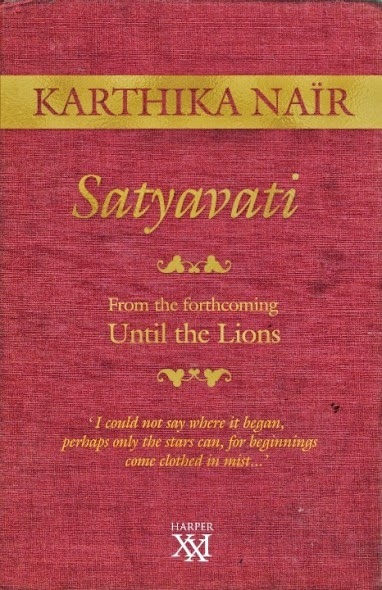 This is an excerpt from Karthika’s forthcoming book Until the Lions, which retells the Mahabharata in verse form, in the voices of numerous characters ranging from Satyavati and Amba to a sceptical dog named Shunaka! And this is not something I would say lightly, but based on the poems I have read so far this book should be in the absolute top rank of Mahabharata revisitings – a must-have for fans of the great epic as well as for lovers of vivid, descriptive, psychologically incisive poetry. A little more about “Satyavati” here, on Karthika’s blog, and here is an excerpt from one of the other poems in the book, published in Caravan two years ago. P.S. If this lifetime permits, Shamya and I will co-write a book about Anita Raaj, while Karthika and I will publish our lengthy email disquisitions about the Mahabharata in book form. I know you can’t wait.